We got a short e-mail from Mason today. I don't think he was in much of a mood to write a long message. They had moves calls last night and Mason was planning on staying in Inverness because his companion is going home this week. But, apparently the new mission president made a lot of changes and in several places he put two new missionaries instead of leaving one missionary in the area with just a new companion. So Mason is headed to Dublin, Ireland, and he is not super happy about it today - I don't think he was at all prepared for a transfer so it was a bit of a shock. But, he hasn't wanted to leave any area he has been in once he gets there and gets to know the ward members, so I am sure it will be the same in Ireland. 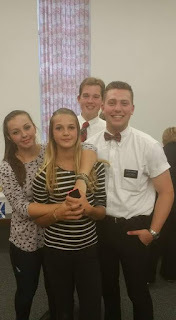 I have already sent a couple messages back and forth with someone in the new ward where he will be serving and she said they are excited to meet him and that they take good care of their missionaries which has been the case in every ward Mason has been in so I am not too worried that when it comes time for him to leave this area he won't want to leave there either. So here is the e-mail we got . . . This week we really didn't do much but going to see members for Elder Carter to say good-bye. 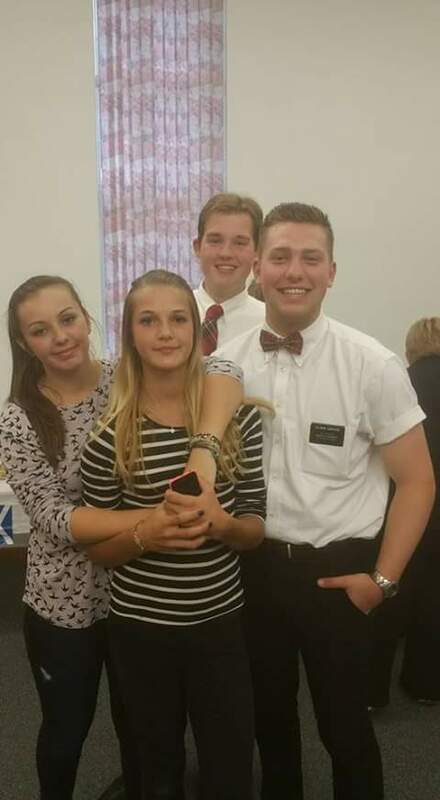 On Friday they had a surprise going away party for Elder Carter, but one of the young men ruined it by texting us and saying he wouldn't be able to come. But this week was really fun getting to see everyone but we will be spending today and tomorrow going and saying good-bye to every one. We have a car right now so it will be pretty easy to get around. That's about it for this week not much else. I am just shocked at moves call but Elder Barton (one of the other missionaries that went to Cottonwood) will be my new zone leader that's about the one bonus about this. Love and miss you guys. I woke up early and e-mailed back and forth with him for a while. I got the map of the mission that we have and sent him the names of the wards in Dublin and he said he will be in the Terenure ward right in Dublin. He said there is a sister missionary going to Dublin that he thinks he will be traveling with and he said they will probably meet up with other missionaries and ride the ferry together. He will probably start heading to Ireland sometime on Wednesday, but he said sometimes it can take a day or two to get there. I have included a couple of pictures. The first picture is one that someone in the Inverness ward posted on Facebook. The other picture is a picture of the building of the ward where is going in Dublin.